Go beyond auto detailing and protect and improve your car with California Detail Studio! 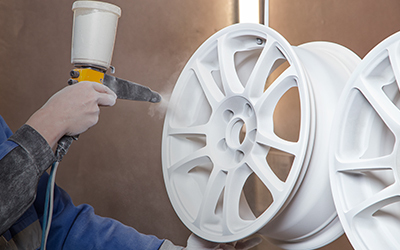 Our powder coating services can give your vehicle a unique and sharp look. Not only will this service increase the overall look of your car, it can also help protect your rims. Ask our professional technicians for a quote on your vehicle. Adding a tint to your windows can provide excellent aestetic appeal in addition to increasing privacy. Our professional technicians can apply a sleak tint to your vehicle. Ask us for a quote. If your vehicle has chrome accents and needs a facelift, come talk to us. 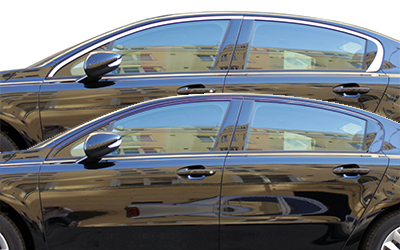 We can perform our Chrome Deletion service and give your car a fresh and modern look.